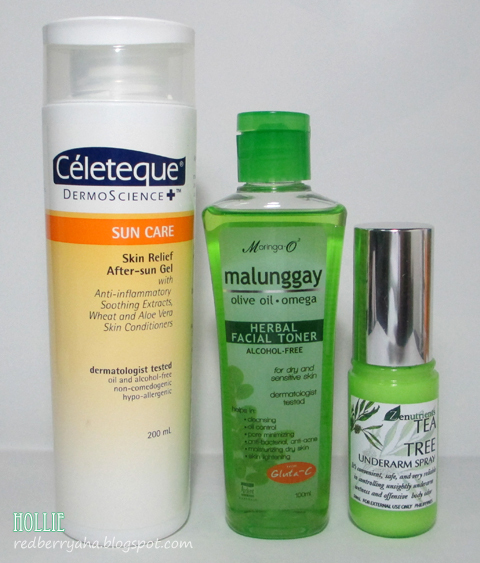 I ordered the Celeteque Sun Care Skin Relief After-sun Gel from Sample Room last May and it was handy during summer. It did soothe and moisturize my skin after soaking under the sun. It has a pleasant smell and it does not feel sticky at all. My recent Sample Room acquisition is the Moringa-O Malunggay Herbal Facial Toner. I am quite happy with this. It is not an alcohol based toner, so it is really mild. I used this toner for over a week now and I like how my pores appear to be smaller. It cleanses really well and does not leave my face feeling dry. I also chose to try the Zenutrients Tea Tree Underarm Spray. I didn't know what to expect with this product. To my surprise, this underarm spray really does work. It does a great job of keeping my underarm feeling fresh all day. I also really like the cooling effect it gives once I apply it. The only thing I didn't like is that, this takes a while to dry so, you can't put on your shirt right away. 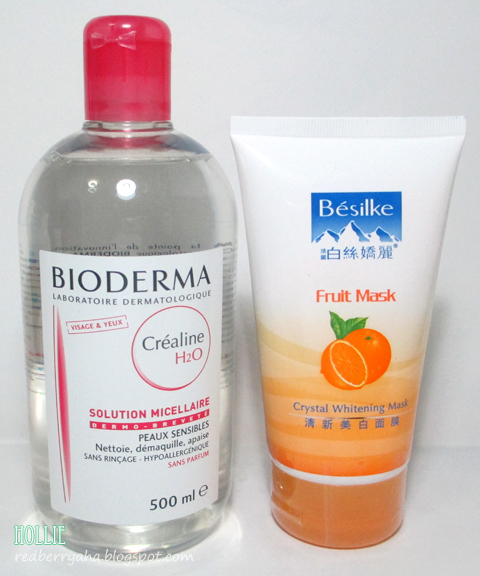 I ordered the Bioderma Crealine H20 Solution Micellaire from Dolled Up Makeup Studio & Supply. The owner Pearl, recently went to Paris for about a month to take beauty courses at Makeup Forever Paris. So, I asked her if she could buy the Bioderma makeup remover for me. I'm so glad she did. I just needed to repurchase this but it was so hard to find here locally. You can read my full review HERE. The Besilke Fruit Mask is new to me. My bestie Khymm of Miss Shopcoholic gave this to me since she knows I like trying out facial masks. It was bought in Hong Kong by her relative so I don't know if this can be found locally. I recently ran out of my Vaseline and Silka Papaya lotion, so I had to buy a body lotion with SPF. I decided to try the Block & White Intensive Whitening Lotion with SPF 24 since this is fairly new on the market. I actually really like the formulation of this better than the Vaseline Healthy White lotion. I'm not sure about the whitening effects though, since I've only been using this for over a week. 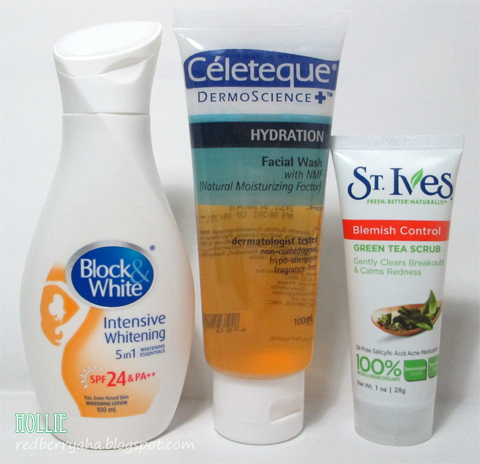 I repurchased my favorite Celeteque Hydration Facial Wash again. I just really like how this facial wash works with my skin so I keep coming back to it. we provide best deals in Washington DC, best online deals. Our deals offer best discounts on beauty spa treatments Sign up now for a new deal every day. Looking for natural and beneficial technique for hair removal?? Here comes the band aid for your theme. New Look Day Spa and Laser are having expertise people dealing with this technique. I got the same stuff from Sampleroom too! And I am really loving the Zenutrients Tea Tree Underarm Spray. It's one of those products that I can honestly say I would like to buy again if only it's accessible. It's odd that Block and White and Nivea have different formulations. They are actually made by the same company. true. the feel and texture of Vaseline is more thick and slightly sticky compared to block & white. that's why I prefer the latter. Yes it seems very good product, But I prefer natural products. 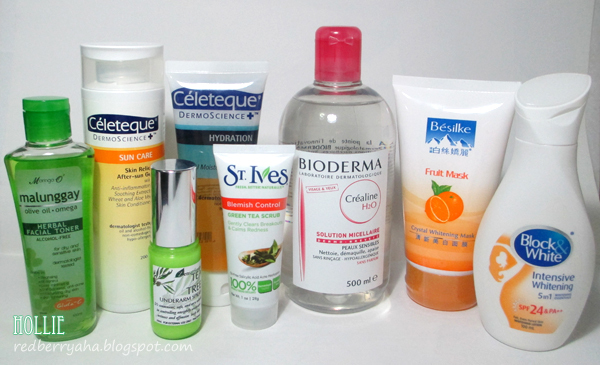 My skin is very sensitive and oily. What you think is this good for my skin??? i am currently trying to use up my celeteque facial scrub, takes so long bago maubos ^^ after that i plan to try the st ives scrub but im a little hesitant because my skin tends to be unpredictable with tea tree oils :) thanks for sharing this!